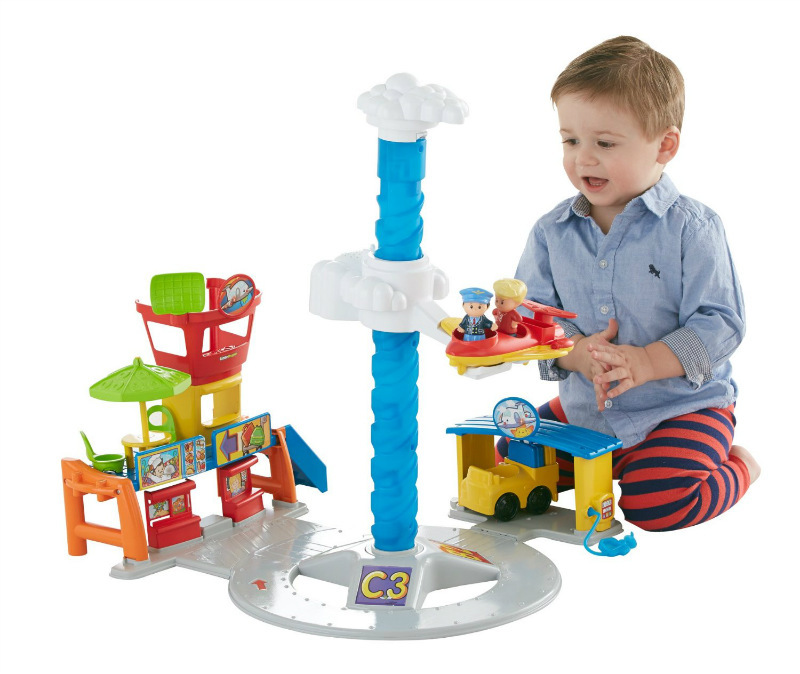 Fisher Price Little People Spinnin' Sounds AIRPORT New! Spending hours at the airport can be fun-when it's the Spinnin' Sounds Airport, that is! Before Eddie the passenger boards the plane, he needs to check in at the ticket counter and get his luggage loaded on the baggage cart. If there's time before takeoff, he can head up the stairs to the food court for a quick snack. Then fasten your seatbelt-it's time to go for a spin! 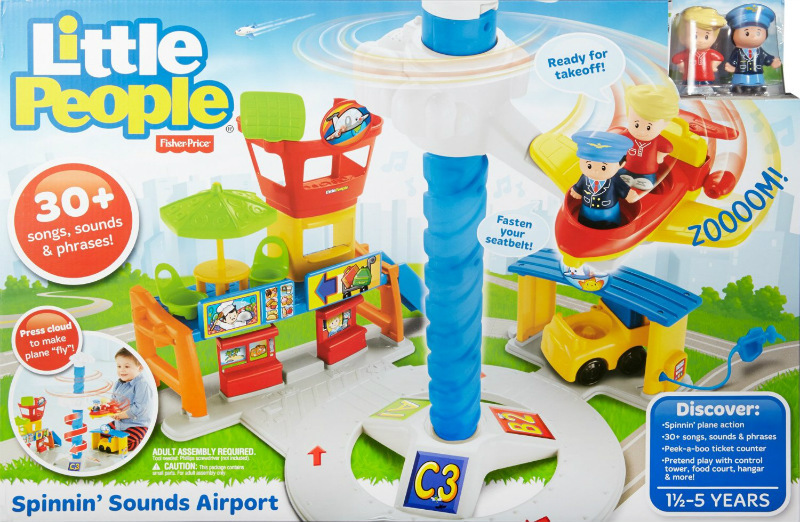 Take the plane up to the top of the pole, press on the cloud and watch it spin around as it "flies" and hear fun sounds all the way down! Press down on the pilot in the cockpit for fun sounds and phrases, too! Then, take the plane up to the top of the pole, and "fly" to a brand new destination-after all, airports are very busy places!